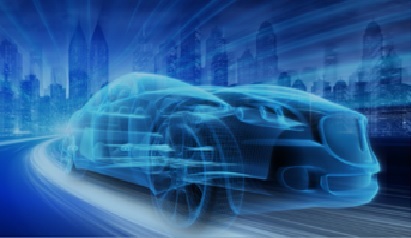 Mobility is constantly witnessing a radical change, on a global scale. And what’s unique about this development is that it is not only driven by innovations arising out of the ever-changing customer needs, but is also determined by the social, environmental, fiscal and regulatory commitments that need to be fulfilled. It is also estimated that the pace at which this shift is taking place will change rapidly in the coming decade and in the next few years; it will be majorly driven by sustainability. It’s observed that in the developed regions of the world, sustainability revolves around the subject of environment and pollution. Whereas in the developing world including India, the issue is quite complex due to the lack of proper public transport systems, inefficient infrastructure and route congestion along with the rapid pace of urbanization. Beside all these challenges, India also faces another issue - the wide gap in the income groups and the diverse geo-political structure. 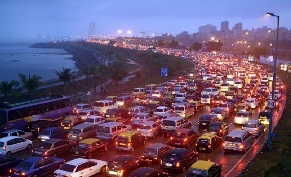 The only way to overtake this problem is to focus on the development of mass public transport and provide better infrastructure for intercity connectivity. While the government will have to play an active role in this, the consumer behaviour and preferences will play a major catalyst in this process. It is often said that there are 2 types of India which exist: the Urban India and the Rural Bharat. Mobility will also see 2 diverse yet parallel existences in the country. The penetration of cars in Rural Bharat will increase along with an increasing purchase power, and we will see more utility vehicles being bought which will be used for both, personal as well as business purpose. However, the Urban India will experience a major shift in the mobility space. While an improved and sustainable public transport system in Urban India will most likely resolve major challenges, the personal mobility space will witness a significant shift, powered by digital tools for improved aggregation and multi-modality options with personalized and flexible transportation solutions. Over a period of time, the pride of owning a car will drastically reduce and it will be considered just as a tool for transportation. The Millennials that will form a major part of Urban India population will be less likely to own a house or own a car and also less likely to cook at home or drive a car. They will believe more in Pay-Per-Use. The mobile phones will gradually emerge as a single tool for managing every utility requirement, including mobility. The mobility space will get much more integrated through various levels. Car manufacturing will just be one small part in the entire chain of mobility. However, cars manufacturers will have to become more proactive to adapt to this change - the arrival of more practical and economical electric cars; better connected cars equipped with technology that help customers use them for car-sharing, car-pooling, or any other form. The electric cars are likely to become much more efficient and affordable; with the improved scale of production. Probably in the coming decade, an electric car will cost as much as a diesel car. And with an improved charging system in place coupled with futuristic technology charging an electric car will be as simple as filling petrol in your car today. However, driverless cars cannot be practically put on Indian roads, at least not in the next 10 – 15 years. It can only arrive once the public transport solution is efficiently working. In the next 15 years, the shift in mobility will be similar to that of mobile phones; from a tool for calling or messaging to a smart gadget which does everything for you. Only time will tell what sort of developments will take place on the Indian roads. How much data can you handle? Interview: Xavier Delmotte, Chief Data Officer, ALD By when can we expect to have driverless cars? More with Mobility: How employees can benefit from mobility?